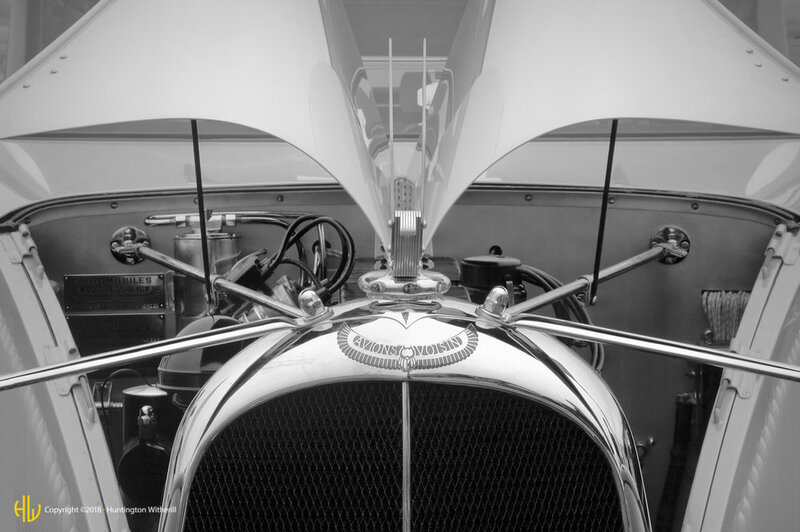 The Chariots of Desire Gallery displays black & white photographs related to antique, classic, and exotic automobiles. The photographs in this series were produced between 1989 and 2015. 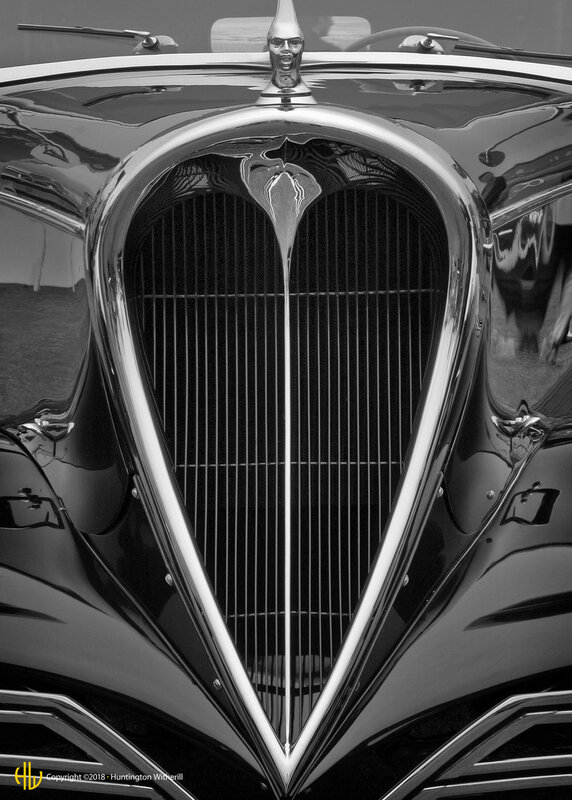 Chariots of Desire celebrates my ongoing fascination with classic and exotic automobiles. 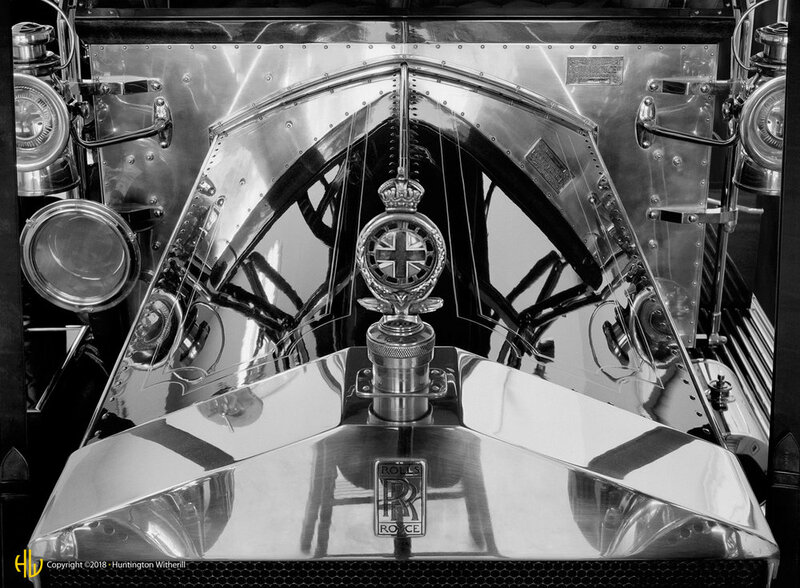 With some initial inspiration having been derived from a Brett Weston photograph that I’d seen in 1985, some four years later I began to pay what would become a 26 year-long homage to Sergio Pininfarina, Emile Delahaye, and a host of other classic automobile designers whose creations I find to be extraordinary. As form follows function, the inventiveness and creativity with which many classic automobiles were designed, particularly during the early to mid-20th Century, almost defies description. These automobiles could not be properly categorized as mere cars. They remain far more akin to revered sculptures by the likes of Constantine Brancusi and Auguste Rodin. 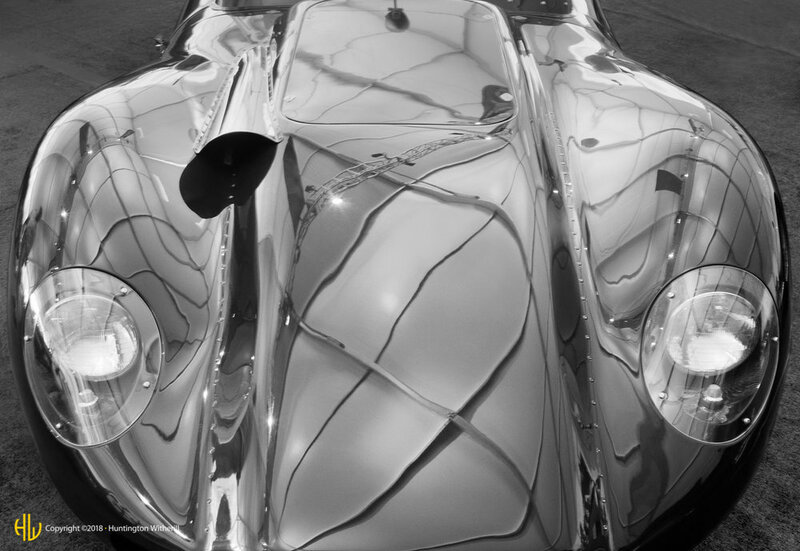 With remarkable sophistication and aesthetically inspired applications of form, line, and grace, classic automobile designers created ingenious and functional works of art that remain as timeless and imaginative today as they were when they were first introduced more than a century ago. And those time-honored traditions of consummate craftsmanship and expressive style have continued into the 21st Century with today’s exotics from the likes of Ferrari, Lamborghini, Maserati, Saleen, and others. From a purely photographic standpoint, the images contained in this gallery originate from an unabashedly quixotic viewpoint. Because I tend to choose the subjects I photograph predominately for their aesthetic and ethereal qualities, rather than for their more pragmatic characteristics, I often don’t pay much attention to the physical differences between such disparate objects as a 1937 Cord grille, and a repetitive series of serpentine lines that might visually characterize a wind-swept sand dune. From an aesthetic point of view these incongruous entities are often figuratively analogous in terms of their visual attributes. And of course, with the literal translation of photography being: writing with light – and regardless the specific subject matter being photographed – the light itself will always remain the key ingredient serving to define and characterize each subject. Thus, it is ultimately my hope that these photographs will portray my primary intention; that being that the light, itself, will triumph as the predominate subject. Note: A softcover Lenswork Monograph containing 60 reproductions from the series: Chariots of Desire can be found, here.